Rolling up at Amber Lakes we knew we were in for an amazing day of cupcake decorating fun. It is the most stunning location with a beautiful wooden building set on a picturesque lake (obvs). The organisers had created a really special day out with lots of different activities. 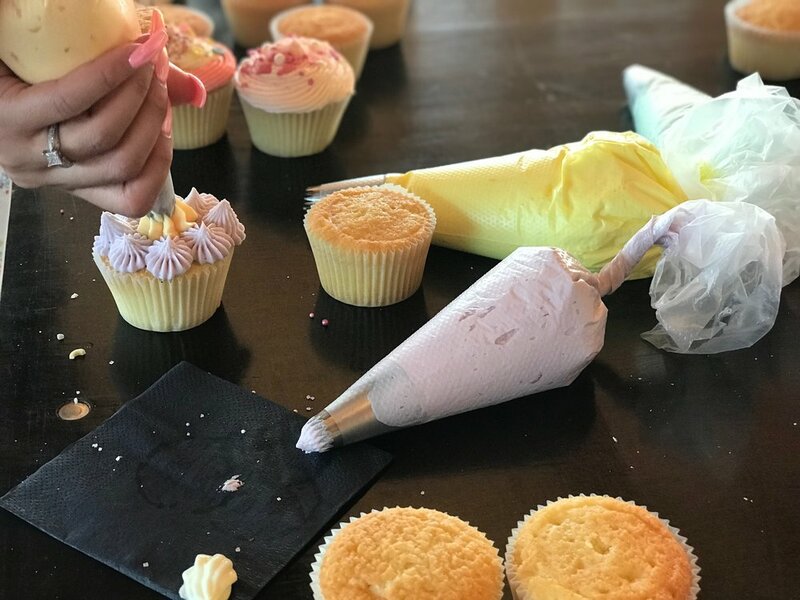 As well as our fun cake making workshop there was; hula hooping, gin tasting, flower headdress making, glitter face paints, zorbing, beach volleyball, football and a climbing wall. 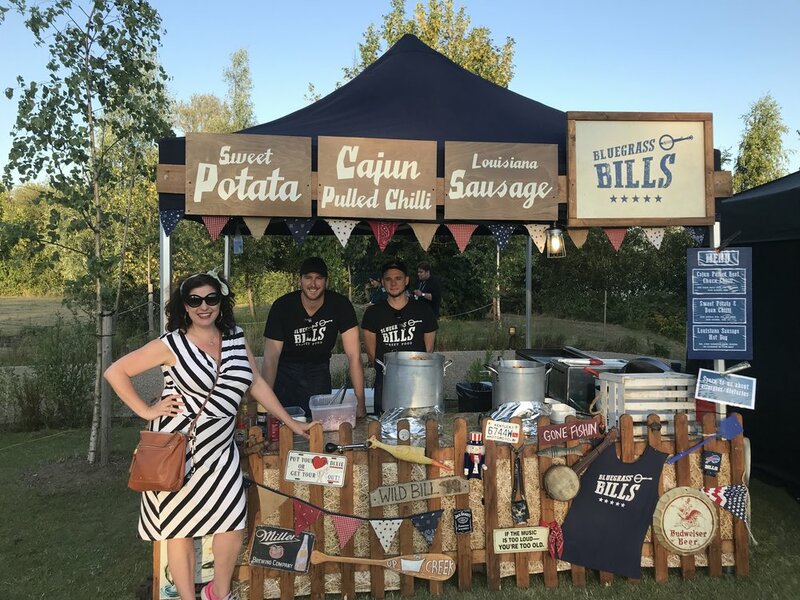 As well as some fantastic food stalls including the delicious pulled beef from 'Bills', well stocked bars a live music stage and some great DJ's. Our cake class was hugely popular. Event after hosting 2two packed classes we had more people wanting to get involved. 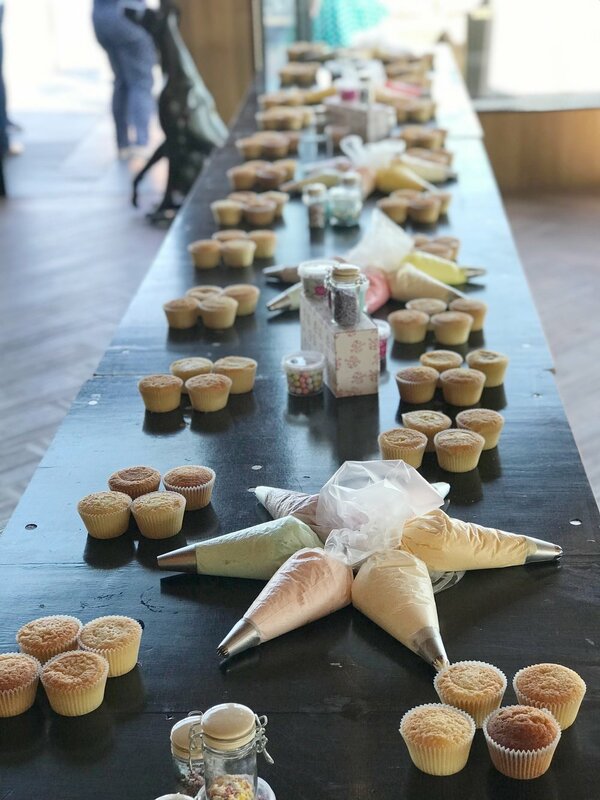 In the end we set up a 'pop up' cake decorating area whilst we packed up allowing us to teach cake decorating to an extra 20+ people. This really felt like the future of corporate away days. The company employees were clearly having the best time and thrilled to be so appreciated by their employers.